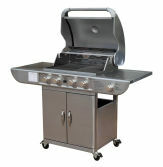 Fir Tree range of professional catering gas barbecues which includes 3,4,5,6 and 8 burner models, a pair of very popular catering griddles and a charcoal catering barbecue. 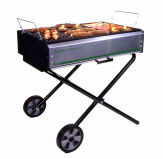 All built from either heavy gauge mild or stainless steel, plus a range of accessories to aid the chef. We supply a catering gas barbecue to meet your outdoor catering needs. Visit Fir Tree's official website here for more information about their products and services.